Happy weekend, everyone, and welcome back to 3-Ingredient Happy Hour, the weekly drink column featuring super simple yet delicious libations. This week we’re getting sauced with one of my favourite autumnal flavours — cranberry. Happy weekend, my lushes, and welcome back to 3-Ingredient Happy Hour, the weekly drink column featuring super simple yet delicious libations. This week I'm making use of jellied cranberry sauce. 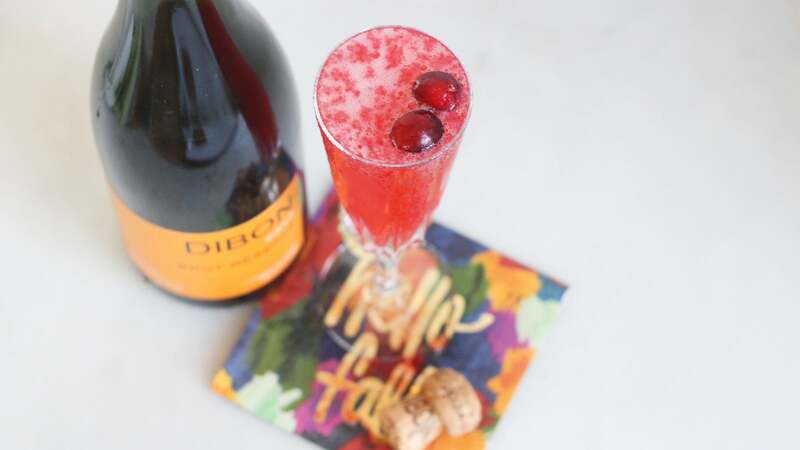 We previously employed the jellied cranberry sauce to make a citrusy satsuma sipper, but this time I wanted to make it a little more fun with the addition of bubbles. Combine cranberry sauce and the sauce (gin) in a shaker filled with ice and shake until the shaker becomes uncomfortably cold. Strain through a fine mesh sieve and top with sparkling wine. 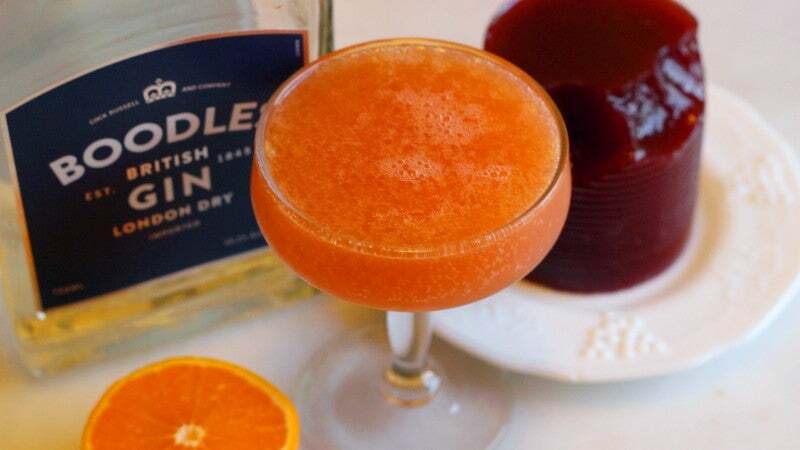 Garnish with frozen cranberries if you have any lying around.